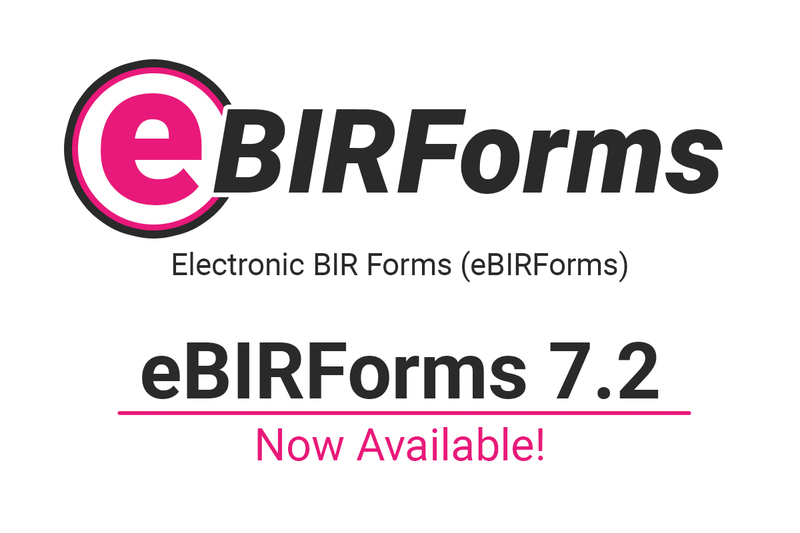 Update as of November 7, 2018 — The eBIRForms Package was reverted back to version 7.1, but returned to v7.2 at 10:35 a.m this morning. After the release of eBIRForms Package version 7.1 last May of this year, the Bureau of Internal Revenue had released yet another version of the application. Presenting eBIRForms Package v7.2. The usual 1601-C form comes with a field called Other than Non-Taxable Compensation (Line 16C), wherein you need to enter data such as SSS, GSIS, PHIC, HDMF, Holiday Pays, Overtime as well as De Minimis Benefits (if you’re a minimum wage earner). But with the recent release of eBIRForms 7.2, fields were already separated in order for users to specify these information within the form, aside from Other than Non-Taxable Compensation which is now located in Line 20 of Part II: Computation of Tax. JuanTax requires employer share as well since we auto populate the quarterly and annual income tax returns. As per Percentage Tax, the updated version of 2551Q still comes with the 8% filer option, same as the one that was released before by the BIR — only this time, the updated form is now also included within the eBIRForms platform. 1602Qv2018 – Quarterly Remittance Return of Final Taxes Withheld on Interest Paid on Deposits Substitutes/Trusts/Etc. Much like its predecessor, the application still comes with the same process when it comes to downloading and installation. You have to go to https://www.bir.gov.ph/ and proceed by clicking the To download Offline eBIRForms Package v7.2 link. Once downloaded, you willl receive a zip file that you’ll need to extract by right clicking on the file and selecting Extract Here. After it’s extracted, you’ll just have to proceed with the installation procedure and that’s it! Although forms for percentage tax and withholding on compensation were updated in this newly released version, we might say that it’s still quite a bummer since all the processes as well as workflow were still the same. The application still runs only for Windows devices and is not available for other systems like Mac OS, forms STILL doesn’t have any downloadable PDFs for new/updated ones and of course, the never ending issue in manual data entry is still there. As an alternative, you can use JuanTax in filing your BIR tax forms. With JuanTax, there’s no need for you to download and install anything. Simply generate, enter transactions, file those returns and that’s it! — You would be able to easily file those taxes minus the unwanted hurdles in calculation and data entry. Furthermore, we also have a mobile app which lets you take images of your invoices and receipts that would automatically flow within the Transactions Module for both web and mobile versions of our tax software, which means you would be able to do your taxes right anytime and anywhere! JuanTax is a Philippine-based cloud tax software which helps businesses in achieving compliance with the Bureau of Internal Revenue (BIR) when it comes to transactional taxes including VAT, Percentage Tax, and Expanded Withholding Tax. Want to learn more about how JuanTax can help you in filing and paying taxes? Visit our website at https://juan.tax/ and Sign up today!